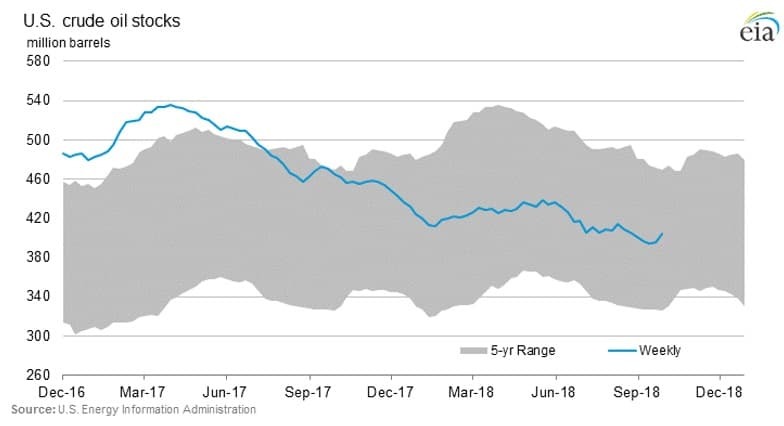 The oil price rally saw a correction on Thursday before stabilizing on Friday morning, and refinery maintenance season may soon add more downward pressure to oil markets. Oil fell back sharply on Thursday, coming on the heels of a huge buildup in U.S. crude inventories. However, the stock increase was largely due to an unexpected dip in exports, so the implications of the EIA report are still unclear. Still, even as Iran outages loom, seasonal factors could offset the bullishness. 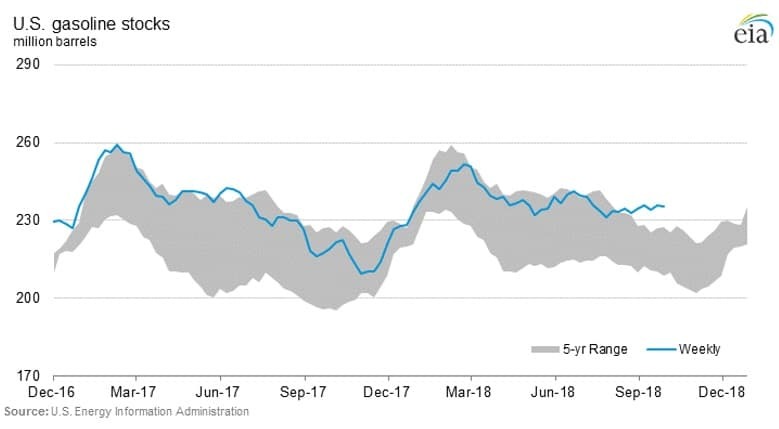 “We’re now into fall refinery maintenance season, and so we’re seeing builds in inventories because refineries aren’t taking in as much crude. Those builds could continue for a while,” Mark Waggoner, president of Excel Futures, told the Wall Street Journal in an interview. IEA: Petrochemicals driving oil demand. The IEA put out a new report that highlights the increasingly prominent role that the petrochemical sector is playing in driving global crude oil demand. Petrochemicals will account “for more than a third of the growth in oil demand to 2030, and nearly half to 2050, ahead of trucks, aviation and shipping.” Transportation will start to lose its prominence as an engine of demand growth in the years ahead, with electrification taking hold. But there are few major alternatives to crude oil and natural gas in the petrochemical sector. U.S. accuses Saudi Arabia of holding back. The U.S. State Department criticized Saudi Arabia for not using its spare capacity this week. A State Department official said that the U.S. was working with Saudi Arabia to use the spare capacity that they are “not deploying,” while also insisting that the U.S. was “doing its part.” "The United States continues to engage with OPEC countries and we encourage them to utilize their spare capacity to ensure world oil supply meets the demand," the State spokesperson said in a statement to S&P Global Platts on Wednesday. 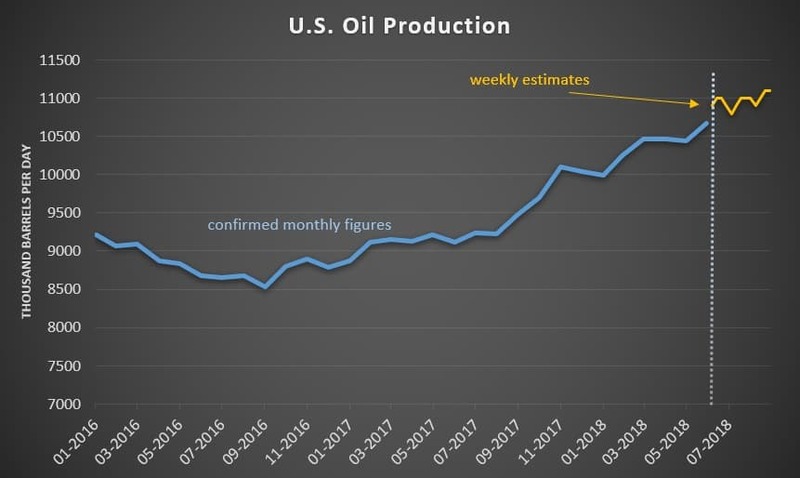 The official said OPEC and non-OPEC producers including Russia “continue to withhold production.” The statement was odd given that spare capacity is very low by any standard. Traders wager on $100 oil. 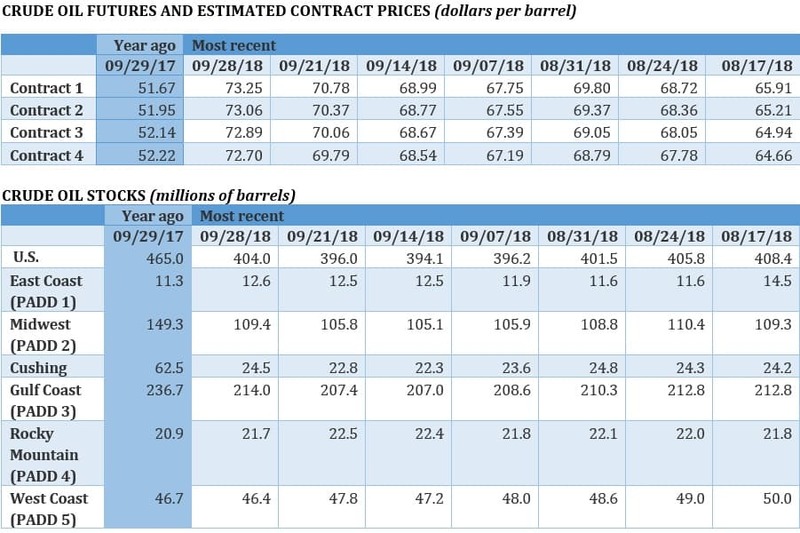 Hedge funds and other speculators have staked out bets that would pay off if WTI hit $100 per barrel by the end of 2019, a sign that the market thinks that the loss of Iranian supply, combined with IMO regulations cutting into marine fuel supply at the start of 2020, could severely tighten the oil market. Canada will restart Trans Mountain process. Canada said on Wednesday that it would not appeal a court ruling that blocked construction of the Trans Mountain expansion. Instead, the federal government will restart the consultation process with First Nations. Oil industry sees Colorado ballot initiative as major threat. Houston oil and gas companies are spending heavily in Colorado to defeat a ballot measure that would increase the distance between homes and where companies can drill. These setback distances would increase from 500 feet to 2,500 feet, a distance that would kill off drilling, the industry argues. Oil and gas companies have spent at least $20 million to defeat the measure, according to the Houston Chronicle. Trump admin to allow year-round ethanol sales. The Trump administration is reportedly set to announce a new policy of allowing the sale of high-ethanol gasoline all year long, removing the prohibition in place for summer months. The move is intended to placate Midwestern farmers, who have been hit by falling soybean prices stemming from Trump’s trade war. The oil refining industry has vociferously opposed any policy favoring ethanol sales, and refining interests are lobbying hard at the eleventh hour in an attempt to dissuade Trump from going forward. Related: Is China Turning Trump's Oil Weapon Against Him? Repairs at Venezuelan dock delayed. A tanker collision a month ago at a critical Venezuelan port may take longer to repair than initially expected. Reuters says one of the docks will take another month before it can come back online, which will likely lead to steeper oil export losses. 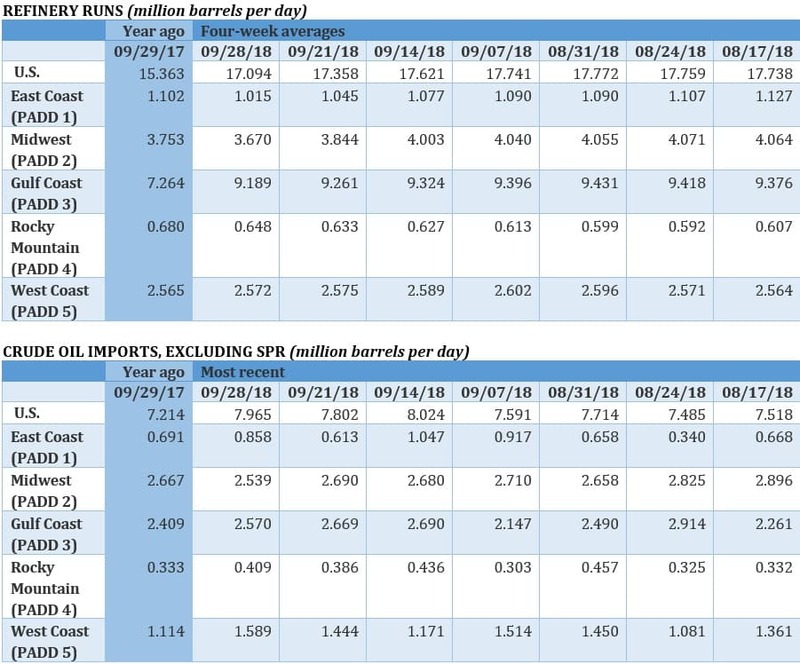 Venezuela’s exports fell to just 1.1 mb/d in September. India cuts fuel taxes. Succumbing to the crushing weight of high fuel prices, which are exacerbated by the weaker rupee, the Indian government decided to lower taxes on gasoline and diesel to provide some relief to motorists. “The combined relief to a consumer will be Rupees 2.5/liter,” India’s finance minister said. Efforts such as this, which have increased in 2018 as global oil prices surged, will minimize oil demand destruction that would otherwise occur. EU companies won’t play along with Iran sanctions workaround. The EU setup a special purpose vehicle to allow companies to continue to do business with Iran, but the FT reports that top European refiners are not convinced that the financing vehicle would shield them from U.S. sanctions. “We cannot afford to take the risk to be banned from using the US financial system,” Patrick Pouyanne, CEO of Total SA (NYSE: TOT), said at a conference in Russia. I am very disappointed in the oil industries resistance to greater use of ethanol in the American Fuel Market. Sustainability of hydrocarbon fuels lies in improving them and reducing their environmental and health impacts. Fighting ethanol is a really stupid move by an industry bent on selling high carcinogen fuels. How sustainable are hydrocarbon fuels full of carcinogens, in a world moving to low emission electrics? It’s way past time for oil to come clean, and clean up its dirty carcinogen laced pollution act. Ethanol provides a clean burning octane source, replacing polluting and carcinogenic aromatics, when are we going to be smart enough to embrace it? I think we know ethenol is not a long term solution. Using up our food source and livestock food source is counterproductive. Then food and cattle prices increase and ofset the advantage. if it weren't for subsidies than the ethanol would have never worked in the first place.